It is my privilege to introduce to MRM supporters Shannon Wheeler, Founder and President of Rutherford Romp Foundation. 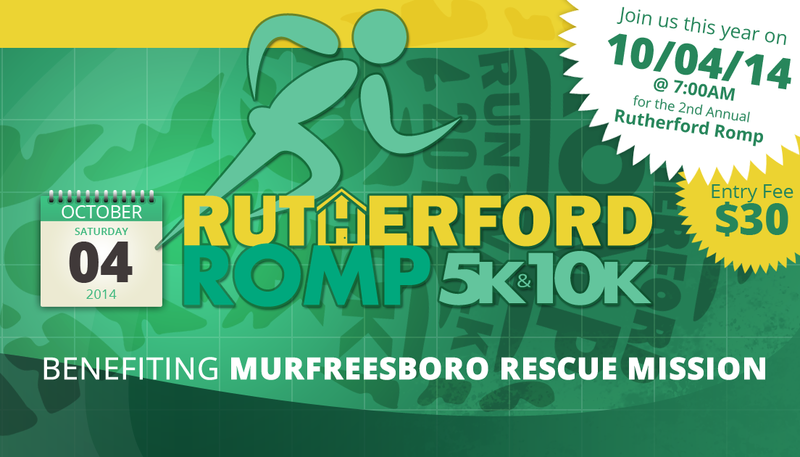 Shannon is also Race Director for the Rutherford Romp 5K Race held annually here in Murfreesboro. He and I were introduced through a mutual friend Jeanine Dalton of Guaranty Trust. This year, Murfreesboro Rescue Mission has been selected to join Child Advocacy Center as co-recipients of proceeds from the 5K race. We are extremely grateful and honored to be selected to be a part of such a wonderful event that will have a meaningful impact in our community. Many of you have asked; “what can I do?” I am calling on our faithful supporters to do whatever you can to help make this race a big success. Go to the Rutherford Romp website www.rutherfordromp.com or Facebook page and sign up to race or volunteer. Call your friends and let them know there are two great causes that need our help.